1. How will existing net metering customers by grandfathered? Current customers have the expectation that their specific net metering agreement will continue for the life of their system -- and even if they sell their house. The CPUC will on a grandfathering period that’s likely to be between 10 and 30 years. They’re scheduled to make the decision by March 31. 2. How will tiered rates change? AB 327 lifted the rate caps on lower tiers to ease the pinch that customers in higher tiers have felt as utility costs have increased. The existing tiers have succeeded in promoting energy conservation, as they were meant to do. And they encourage solar, since customers who install solar can keep their power bills in the low tiers and realize more savings. 3. 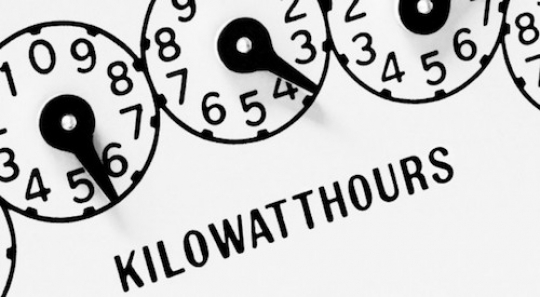 Will time-of-use rates be put in place for residential customers? AB 327 allows the CPUC to require time-of-use pricing. Heavner thinks it’s likely to be put in place for all customers. That could be good for solar, since higher rates generally coincide with times the sun is shining. 4. Will a fixed charge be imposed? The bill authorizes the CPUC to implement a fixed charge of up to $10. This would be separate from any existing daily meter fees. With concerns that even the small fixed charge recently imposed in Arizona could be adversely affecting solar adoption, this item will be watched closely. 5. What will Net Metering 2.0 look like? This question, set to be resolved by December 2015, is at the heart of the bill. Heavner thinks it’s likely that net metering customers will no longer get full retail credit for the power they produce. But what will replace that? The CPUC will make that decision. One option is some kind of feed-in tariff, though perhaps by another name. Although Heavner thinks that’s possible, he cautions that getting the numbers right is crucial to ensure a feed-in tariff works. Whatever happens, we can expect a bloody battle over this one in the next couple of years. 6. How does distributed solar affect the grid, and what’s needed to manage that? Utilities around the country have been sounding the alarm about more distributed solar coming onto the grid. They say the grid can’t handle more than a small amount of this input. The CPUC’s response: Show us where, and tell us what’s needed to manage increasing distributed generation. The net metering issue is tied to the discussion of avoided costs and the value of solar. A number of studies have been done recently. The utility-friendly E3 study was deemed out of date as soon as it was written, because it was modeled on rates that were changing. A Vote Solar study commissioned from Crossborder Energy found that net metering’s benefits outweigh its costs. The definitive word is yet to come in. Rate structures and net metering are closely interconnected. As tiered rates are flattened, the benefits of net metering are lessened. That’s what the utilities want, but it could also benefit solar. It behooves us not to over-subsidize solar, Heavner said, if we want a continuing strong industry. That’s where Net Metering 2.0 comes in. What remains to be seen is what shape that will take. To take action and let the CPUC know that you don't want them to change the rules on Californians with rooftop solar, you can sign this petition.